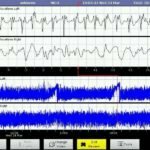 Do you find reading aEEG stressfull? After teaching aEEG for more than 10 years, one of the most common requests I get is how to read aEEG. I know that reading aEEG can seem a bit tricky when you first get started, but I promise, with a little practice you will feel much more confident! In a recent Live Q&A Session, I shared my simple 5 step process for reading aEEG at the bedside. I hope that the next time you are faced with reading aEEG that this simple (yet comprehensive) approach will really help you! And, I would love to hear from you… which step do you find the most difficult when it comes to reading aEEG at the bedside of the NICU?? Counting the number of sleep wake cycles that are visible on the aEEG recording can give you strong clues to the health of the newborn’s brain. When using more than one aEEG channel you can compare the symmetry of electrical activity from the right and left hemispheres which can offer clues to the presence of mechanical problems or unilalteral brain injury. One of the most troubling signs of brain injury is the presence of clinical or electrographic seizures. 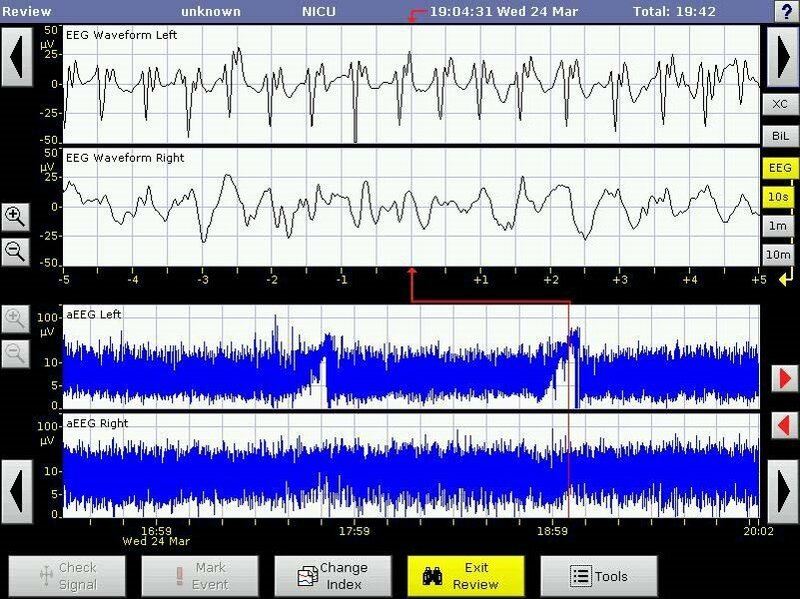 aEEG is a invaluable tool for it’s simplicity and ability to pick up nearly 80% of neonatal seizures. The use of automated detection software for suspicious area can improve detection, minimize stress to novice aEEG users, and increase your confidence in reading aEEG. The NICU is filled with electrical devices that lend to the presence of many artifacts on the EEG and aEEG tracing. As you investigate each suspicous area on the aEEG be sure to pay close attention to the most common artifacts that we see. 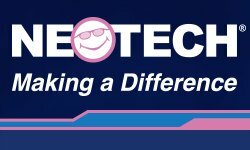 Want to learn to master aEEG without having to travel to a conference? Join Kathi every month on her LIVE Q&A sessions, get registered for future sessions and watch the archives by clicking HERE. 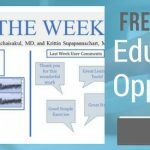 Also if you haven’t already recieved your free 1 week trial of Kathi’s aEEG Online Mastery Course or Free e-Book, then check those out by clicking here! 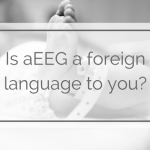 Is aEEG a Foreign Language To You? 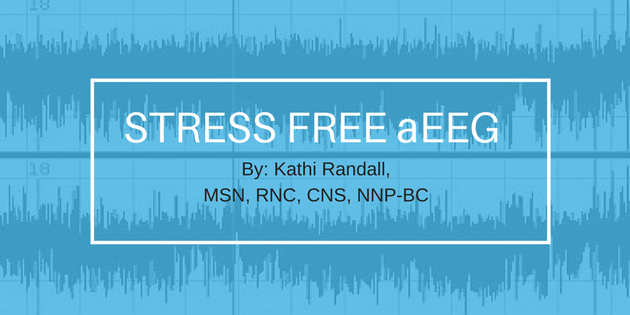 Test Your Knowledge of aEEG!